A facial can soften and hydrate, replenish and protect against the Winter weather. It’s not uncommon to feel lips chapping or wind burn on the face during these colder months. But with a creamy cleanser, light exfoliation, and a heavier moisturizer, your skin can be conditioned to withstand the cold, dry air felt all through Winter. First we would have you complete the Skin Care Client Profile and look at questions like how much water you drink a day. We would ask about dryness, flakiness and tightness felt on your skin. We ask how much caffeine you have each day as caffeine can dehydrate the skin. Then we would select the products based on your skin type. This is determined by what time of day you notice an oily shine coming out on your skin, if at all. A facial is meant to clean and freshen the skin. We recommend a facial therapy once a season. After a customize deep cleansing that features not only a cleanser but also a cleansing oil designed for your skin type and an herbal toner as well, we steam the skin to open the pores. This makes for easier pore cleaning or an ’emptying of the pores of dirt and debris.’ Then comes the massage on the face neck and décolleté. Pressure point face massage is a great way to disperse tension in the facial muscles and free congestion in the sinuses. The facial feels ‘less fluffy’ and more of an antidote to combating allergies. The pressure points that are treated are on the forehead, cheeks and chin. They are derived from the Ohashi method of Shiatsu. Cosmetology and medicine used to be combined in the old world of grooming and health. Then things began to separate over the centuries with medicine becoming a whole other realm and beauty becoming a profession all its own. However, holistically speaking, both are starting to complement one another in terms of stress reduction and health maintenance. Many people think going to the spa is a superficial luxury. They think that pricey treatments aren’t worth their value. They think going to a spa isn’t worth the money. But the spa isn’t just some place to get groomed and receive superficial cosmetic treatments. There are certainly treatments for beauty, but spas have incredible benefits for your physical and mental well being including detoxification, stress management, increased confidence, anti-aging, pain alleviation and improved circulation. Professional spa treatments improve your mood. 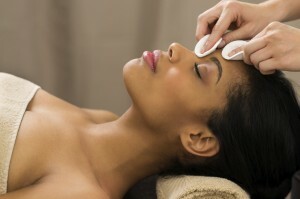 Budgeting regular spa treatments a valuable way to improve your health and wellness routine. Home spa kits have recently become quite popular. These kits include things like creams, body scrubs and eye masks. 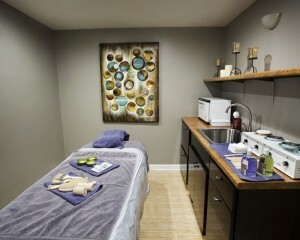 But unfortunately many of the benefits of spa treatments require the expertise of a professional. A homemade facial treatment, for example, may be cheap and easy to make, but rarely creates a visible difference. Creating a mask at home from bananas and oatmeal does not compare to a personalized facial. In fact, the products found in your home spa kit may irritate your skin and cause breakouts.